Hover over a Product tile and click the edit (pencil) icon or double click a Product tile. Alternatively, if you are creating a new product, you can click the "Create Product" button from the Products page to open the same screen. When you enter the Product Edit Split-screen, the Media Bin will appear to the right. The images are kept in this space before they are attached to a product. 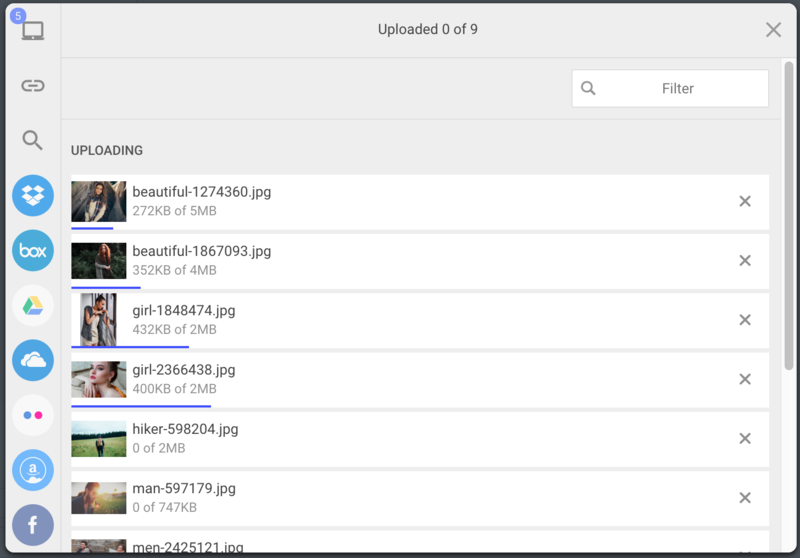 Click "Upload Images" to bring up the image uploader panel. When you click "Upload Images" you will see this pop-up panel. 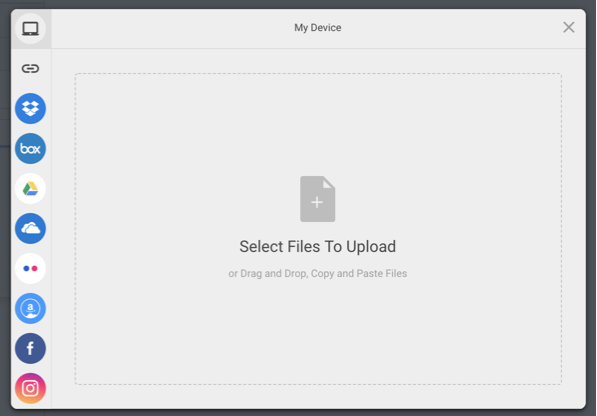 After you've selected your image files, click "Upload" and the images will begin uploading into Brandboom. 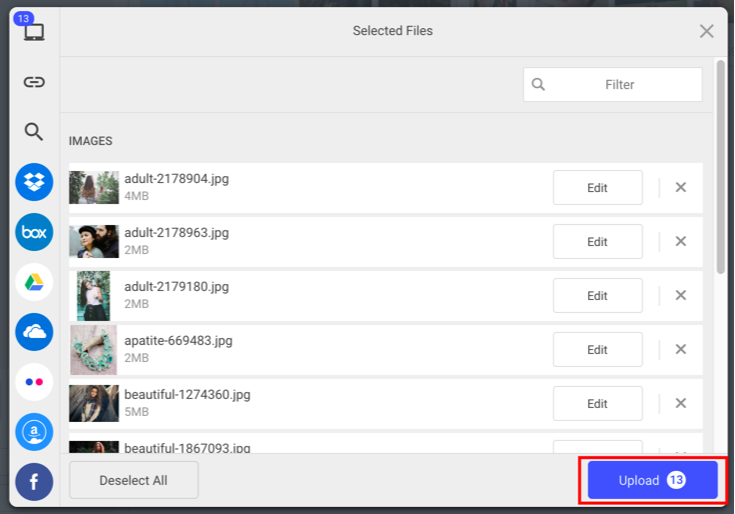 Once uploading has finished in this panel, the images will appear in the Media Bin as image tiles. At first, you will see a loading animation appear in the center of each tile as the image is being processed in Brandboom. When processing is complete, you will see a thumbnail appear in the tile. You can then add the image to a product.